Our price:£ 110.81/pcs. tax incl. UniFi Access Points feature the latest in WiFi 802.11n MIMO technology -- capable of 300Mbps speeds with ranges up to 600 ft. The UAP Unit can work with wireless data transfer up 300 Mbps, standard 802.11n is supported , UniFi uses MIMO 2x2 antenna system. After the UniFi Controller software is installed on a Linux, Mac or Windows computer ( also available in a separate hardware box ) the Ubiquiti UniFi Controller can be accessed through any device using a standard web browser. The Ubiquiti UniFi Controller allows the administrator to instantly provision thousands of UniFi Access Points, map out networks, quickly manage system traffic, and further provision individual Ubiquiti UniFi devices. 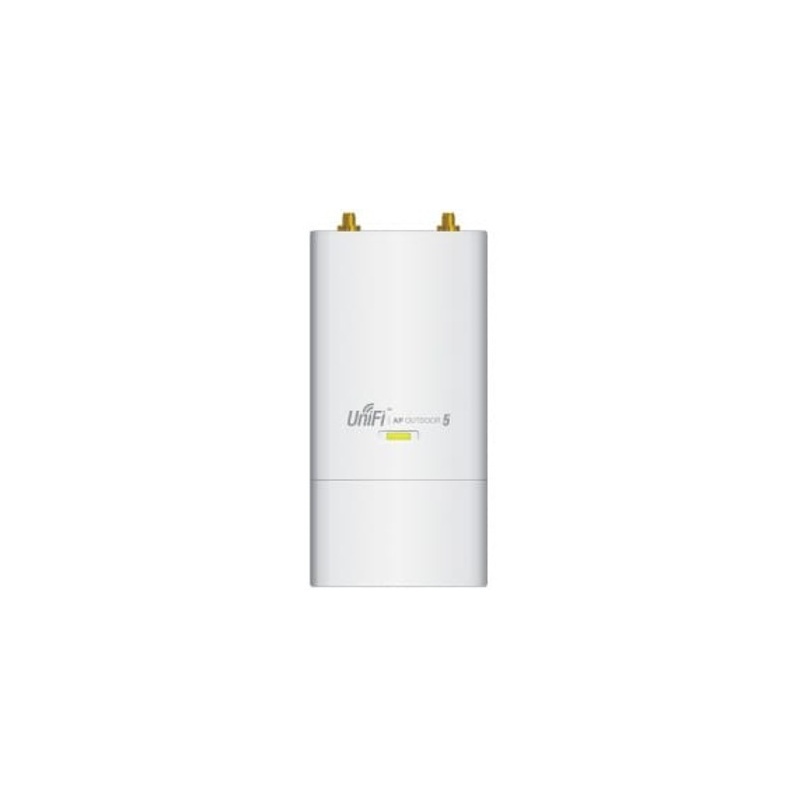 Also available in the Unifi Outdoor range is the UAP Outdoor+ which supports 2.Ghz only or the Unifi UAP Outdoor AC which supports 2.4Ghz & 5Ghz delivery breakneck throughput of 1300Mbps on AC compatible devices. To keep things neat and tidy and lose the need for loads of power sockets you may want to check out the Ubiquiti ToughSwitches for an all in one solution to POE power management and network switching. For large deployments we recommend the Ubiquiti Unifi Switch Range with 24-48 port POE capability. Take UniFi outdoors and link farther than the standard UAP with the UAP-Outdoor. 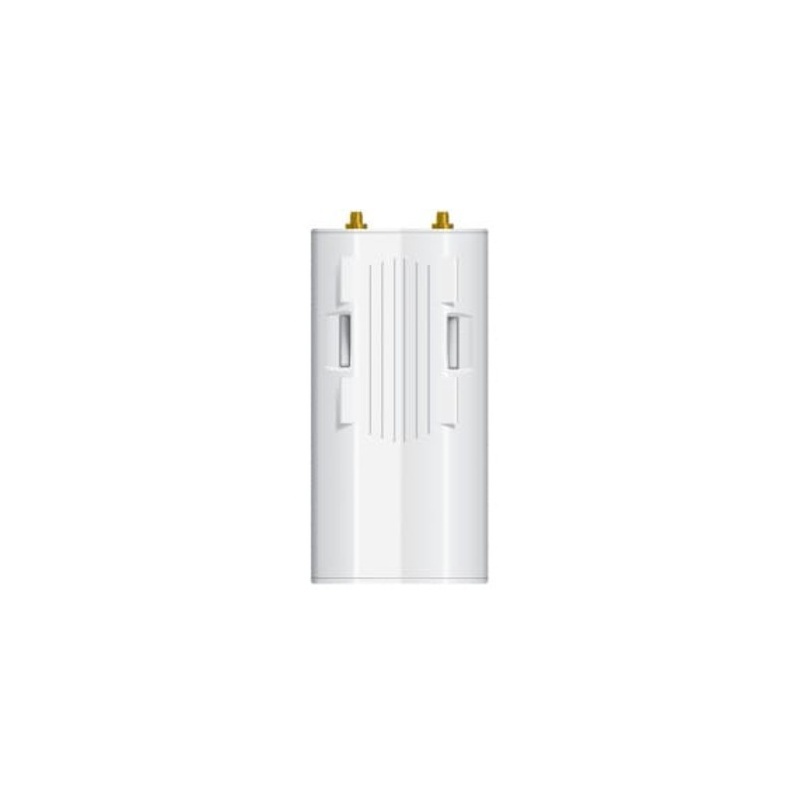 The UAP-Outdoor includes 2 external omni antennas and a secondary Ethernet port for bridging. It supports 802.11n MIMO, with speeds of up to 300 Mbps and a range of up to 600 ft.
Weather-resistent case designed specifically for outdoor installations. 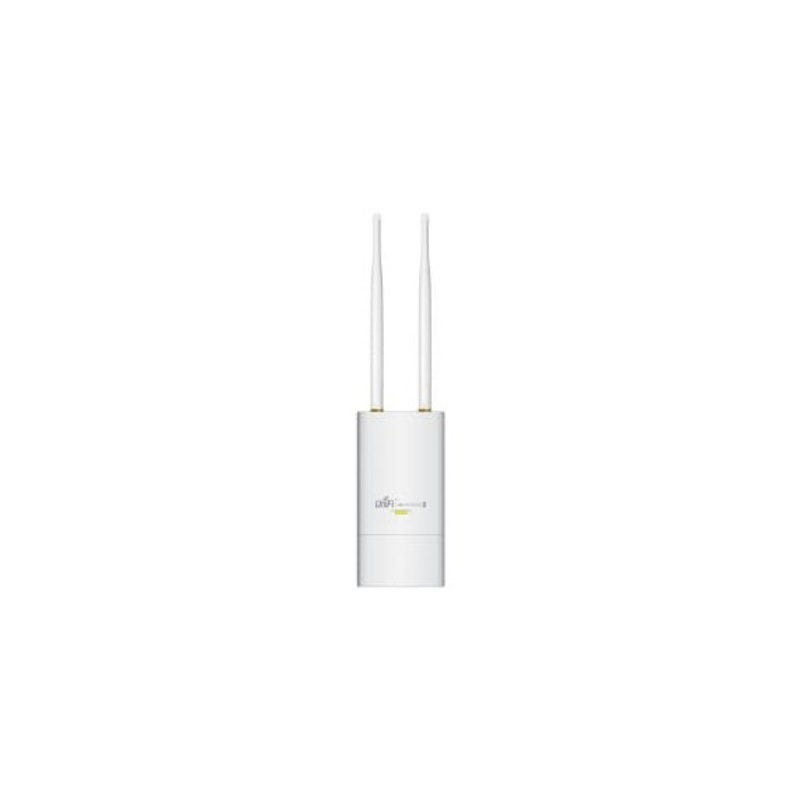 Dual, omni-directional antennas provide for complete 360 degree wireless coverage. Includes Power over Ethernet (PoE) functionality, which allows both power and data to be carried over a single Ethernet cable to the device. Sleek wall or pole mount design (all accessories included). Maps - Upload map images of your location(s) for a visual representation of your wireless network. Statistics - UniFi organizes and visualizes your network(s) traffic in clear and easy-to-read graphs. Access Points (APs) Easily install, configure, and manage all access points from one location. Users and Guests - Keep track and control access of specific users and guests connected to your network(s). Remote Firmware Upgrade - Save time and effort by remotely upgrading device firmware. Guest Portal/Hotspot Support - Easy customization and advanced options for Guest Portals include authentication, Hotspot setup options, and the ability to run as an external portal server. Take advantage of UniFi's rate limiting for your Guest Portal and Hotspot package offerings. Apply different bandwidth rates (download/upload), limit total data usage, and limit duration of use. Built-in support for billing integration using major credit cards via PayPal. Full customization of Hotspot portal pages. Google Maps Integration - Upload your own custom coverage maps or configure your map using the built-in Google Maps API. Events and Alerts - UniFi makes it easy to view and set up email delivery of alerts and recent event notifications on your network(s). One UniFied Network - Option to create one large wireless network across multiple APs that lets users seamlessly roam. Power Method: Passive Power over Ethernet (24V), For 802.3af Support a POE converter is needed which can be found here. 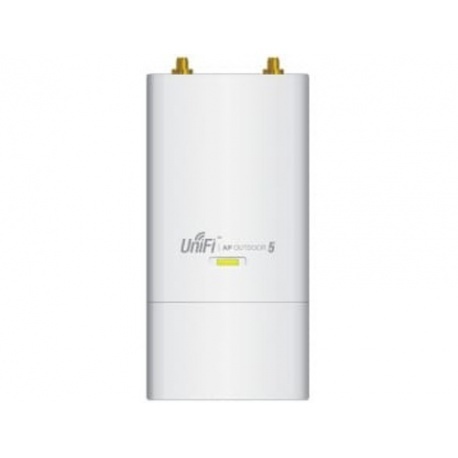 The Ubiquiti UniFi UAP Outdoor 5 (5GHz) 802.11a/n MiMo is Ubiquiti 5Ghz only outdoor access point is designed to provide enhanced coverage and maximum throughput on the 5Ghz band for all 5Ghz compatible devices.